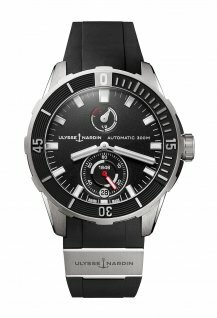 Patrick Pruniaux, CEO of Ulysse Nardin, and the armada of "Ulysses" introduced the new Diver Chronometers in Monaco. 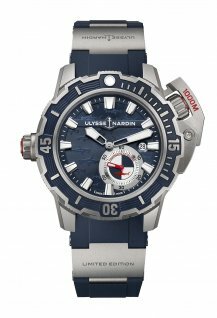 Sport watches, and in particular diving watches, are currently having something of a moment – which is good news for Ulysse Nardin, the Kering-owned house that is synonymous with timing the seas. Indeed the company recently has been making waves: in August, CEO Patrick Pruniaux added another feather to his bow when it was announced he was taking on the additional role of CEO of Girard-Perregaux. With early training in the drinks business and a decade at TAG Heuer followed by a stint at Apple, the 46-year-old Mr Pruniaux has one of the most interesting CVs in the watch business and no doubt his career at Kering will be closely watched. 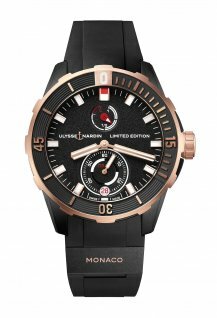 Mr Pruniaux was on hand last week at the Monaco Yacht Show to launch Ulysse Nardin’s new Diver Chronometer, a collection of four diving watches that was conceived around 18 months ago – before Mr Pruniaux started the top job and which he called a “priority”, namely for its in-house developed UN-118 calibre with silicium technology (“I was on everyone’s back when I arrived,” recalls Mr Pruniaux). 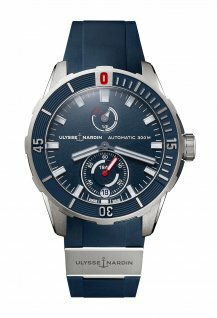 Ulysse Nardin’s existing diving watches won’t be discontinued, he says, but “streamlined” (a pin buckle closure for example has replaced the clasp). The new 44mm titanium watches come in four colours: two blue and black versions (CHF 7,900) with matching dials and rubber straps, and two limited edition models, the Great White (CHF 8,900) in chic white and limited to 300 pieces, and the black-on-gold Monaco (CHF12,000), limited to 100 pieces. Water resistance to 300m and with Superluminova indices and hands, the watch is especially readable with its power reserve indicator at 12 o’clock (60 hours) and date window and small seconds at 6 o’clock, all encased within an inverted concave unidirectional rotating bezel. 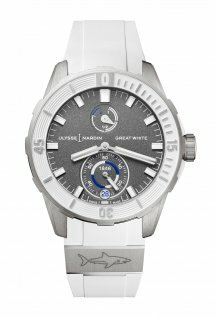 The two limited pieces come stamped on the caseback with a great white shark and Monaco coat-of-arms respectively. 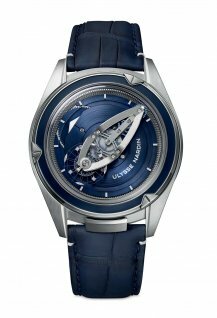 The latter also has a special date window that highlights the numbers 26, 27, 28 and 29 – the dates of the Monaco Yacht Show, for which Ulysse Nardin is official sponsor. There is also a Monegasque flag at 12 o’clock. Joining Mr Pruniaux for the launch were the so-called “modern-day Ulysses” – ambassadors with, naturally, links to the seas, but also individuals who embody innovation, conservation and also fun. 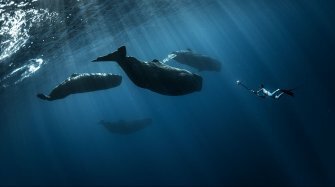 Leading the pack was renowned freediver and photographer Fred Buyle, who spends some 250 days in the ocean, most of it in his home in the Azores diving with sharks and whales. 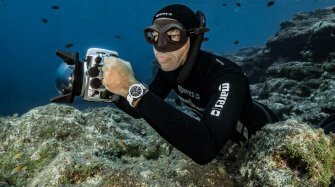 Buyle had tested the new watches all summer and he praised the design for its readability, comfort and mostly its seconds hands dial, which he called a “separate watch inside a watch.” A self-proclaimed “light traveller”, Buyle says he’s always liked mechanical watches and especially its precision for freediving. 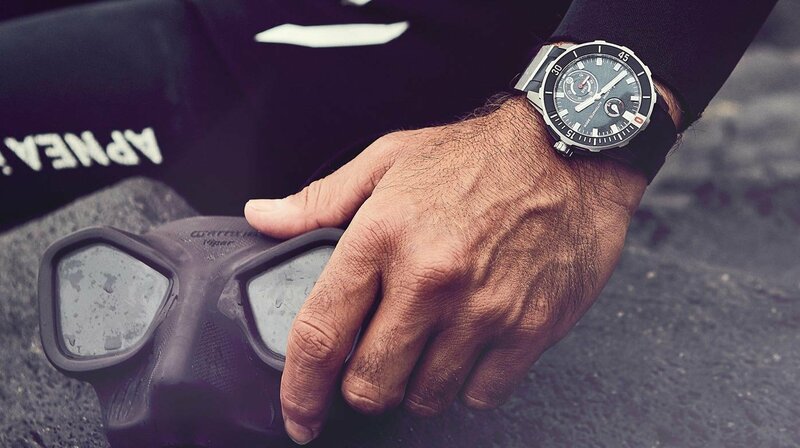 Buyle photographed the new Diver Chronometer campaign and was at the launch with his fellow Ulysses, the French record-holding kite surfer Alex Caizergues, who was fresh from setting a new average speed record of 107 km/hour (while noting that maximum speed was well over 110 km/hour). 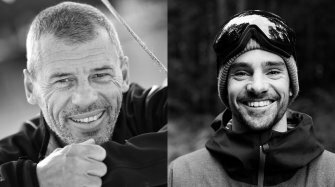 Another was snowboarding world champion Mathieu Crépel, who has been working with a conservation NGO to track a drop of water, from a “clean and naïve” snowflake falling on a mountain down to the ocean – as it melts and flows through rivers, cities and human activities, with the ocean the final “trash of the whole process” he said. 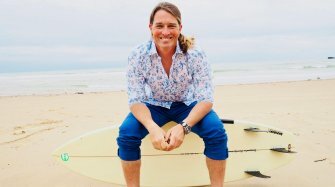 Finally David Tyler, the commercial director of Artemis Racing, shared the company’s increasing focus on green maritime technologies.